Mar. 20, 2014—Knowing when to take a medication — and what to do if a dose is missed — could greatly improve adherence to diabetes medications and glycemic control among adults with type 2 diabetes, according to a Vanderbilt study published in the journal Diabetes Care. Mar. 20, 2014—The Physician Council for Clinical Service Excellence helps ensure that clinical faculty have a clear voice in shaping major initiatives affecting patients, clinicians and clinical staff at Vanderbilt University Medical Center. Mar. 20, 2014—The 2014 Pharmacology Teaching Award was presented Tuesday during the 23rd annual Joel G. Hardman Student-Invited Pharmacology Forum in Light Hall. Mar. 20, 2014—Scott Hiebert, Ph.D., associate director of Basic Research at Vanderbilt-Ingram Cancer Center (VICC), was celebrated for his contributions to cancer research during the 6th Annual Nashville Honors Gala benefiting the T.J. Martell Foundation. Mar. 20, 2014—Pratik Pandharipande, M.D., MSCI, professor of Anesthesiology and Surgery, has been named chief of the Division of Anesthesiology Critical Care Medicine, succeeding C. Lee Parmley, M.D., J.D., who was named chief of staff of Vanderbilt University Hospital earlier this month. Mar. 20, 2014—Cochlear implant pioneer Blake Wilson, D.Sc., of Duke University, speaks about speech-processing technology at his recent Flexner Discovery Lecture. Mar.  20, 2014—The latest research on pneumonic plague, respiratory syncytial virus (RSV) and other life-threatening infections will be discussed during a Symposium on Infection and Immunity April 11 at the Vanderbilt Student Life Center. Mar. 20, 2014—Vanderbilt University School of Medicine student Jake DeVolder has been appointed the American Medical Association (AMA) student member of the Liaison Committee on Medical Education (LCME).